This seems to be a very high quality suppliment and it will part of my daily routine from now on. Magnesium Glycinate is wonderful!! I will never buy another brand again. No more middle of the night issues! I was very pleased that this Magnesium Glycinate had no adverse affects. I have been using this product for over 4 years and highly recommend it. This is a good product, a good staple daily supplement along with your other vitamins. I started taking this form of magnesium and saw improvement. I love everything from the brand. I recently started taking their Magnesium Glycinate, and will definitely order a larger bottle next time! This is the best quality magnesium. I ONLY use Pure Encapsulations. My midwife suggested this kind of magnesium to help leg cramps and headaches. I only had to take one per night and it worked. If I ever needed extra support I would take two. This way the bottle lasted much longer. Glycinate does not upset my stomach and I liked this brand because it did not have a bunch of additives. 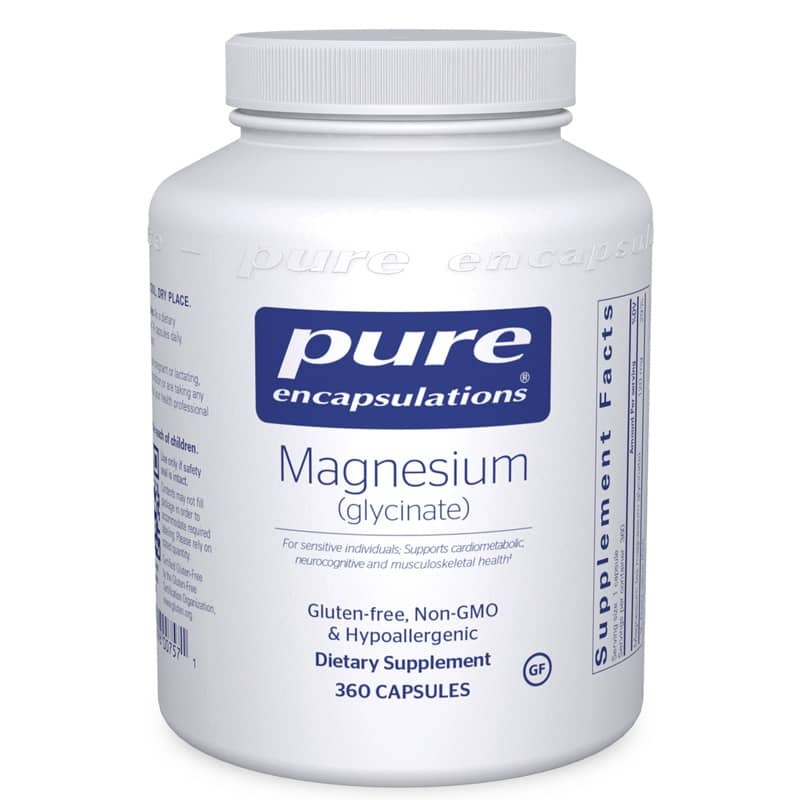 I use the Pure Encapsulations Magnesium Glycinate to help me sleep. It seems to work great! Their products are great quality.